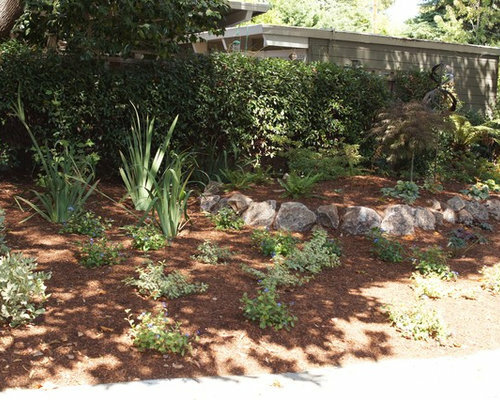 A shady former front lawn is transformed to a woodland garden. 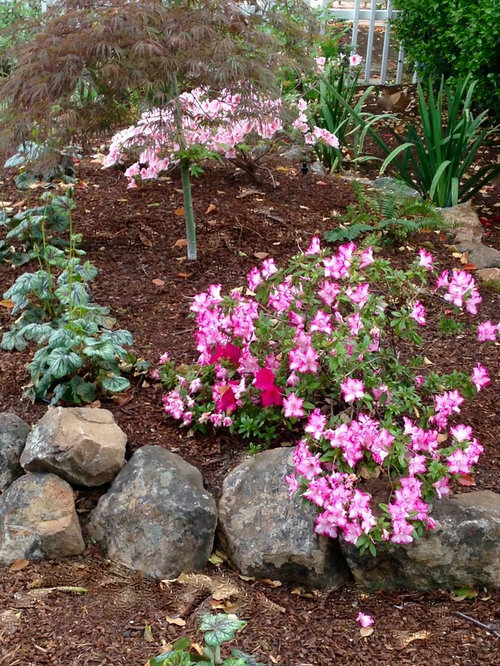 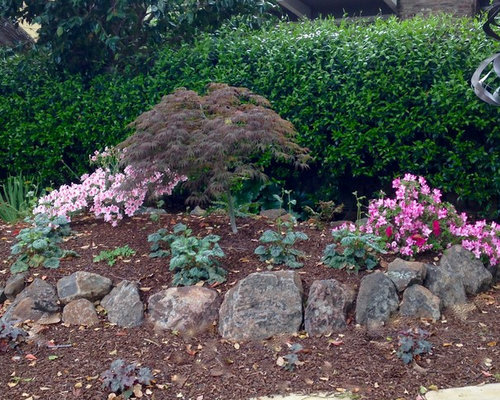 Spring color with blooming azaleas and fall interest with Japanese maples. 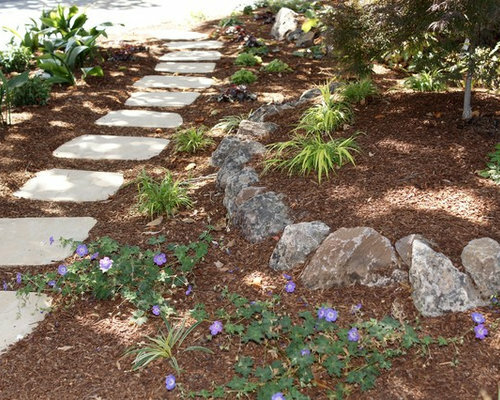 A raised rock-wall planting areas and a wandering flagstone pathway makes a former front lawn more interesting. 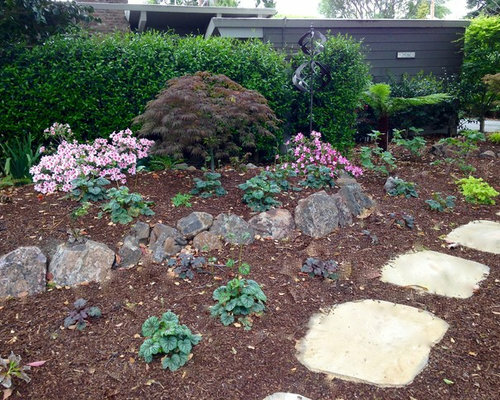 A shady garden doesn’t have to be boring!